Even if a previous owner or real-estate agent gives you keys to your new home, it’s impossible to know if there’s any copies of the keys circulating around, or who might have them. 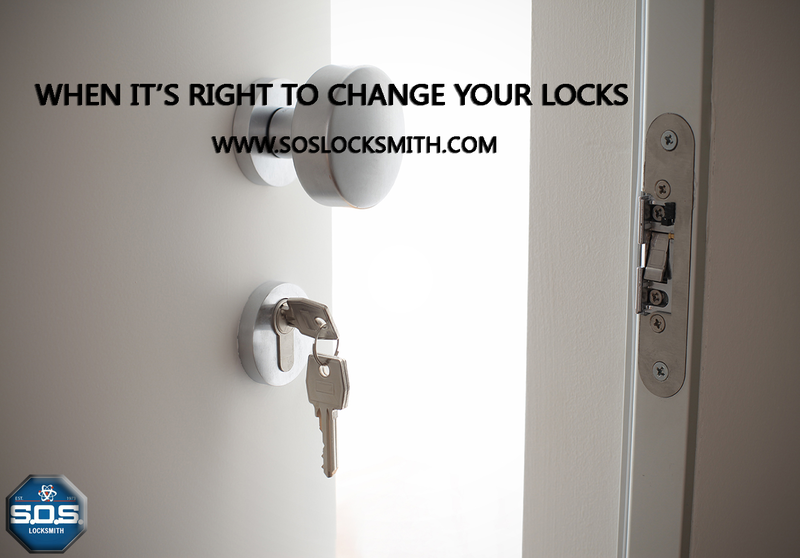 It’s safest to just get the locks replaced so you know that your home or business is completely secure. In situations where keys are lost, it’s usually better to go the safe-route. There’s little way of knowing if the keys were stolen, found, or copied by people with negative intentions – so it’s better to just replace the locks and afford yourself some peace of mind. Rust or internal deterioration can wear out locks over the course of time. You can periodically inspect locks to search for signs of wear – which can include rusty metal, or having difficulty opening keys. Besides being dangerous, rusty or broken locks have the possibility of failing or jamming when you’re trying to get inside your home. It’s best for your safety and sense of calmness to simply replace the lock. If you gave a pair of spare keys out to neighbors, friends, or repairmen – and the keys have gone missing or are not being returned for whatever reason, stay on the safe side, Simply have the lock changed to get rid of any risk to your assets which might be posed in case the keys fell into someone nasty’s hands. If a roommate moves out, it’s always a good approach to change the locks. You don’t know if they gave any of their friend’s copies of their keys. I know it sounds silly (but I promise it’s happened) – you really don’t want to find out an old roommate has been using your home without contribution while you’re away. Changing a lock can prevent any of this sort of unauthorized entry. In this unfortunate occurrence, it’s always best to be as safe as possible. Even attempted break-ins warrant lock changes, as it’s highly possible that your locks were damaged in the attempt to enter into your home.